It’s time for a thorough autumn cleaning. 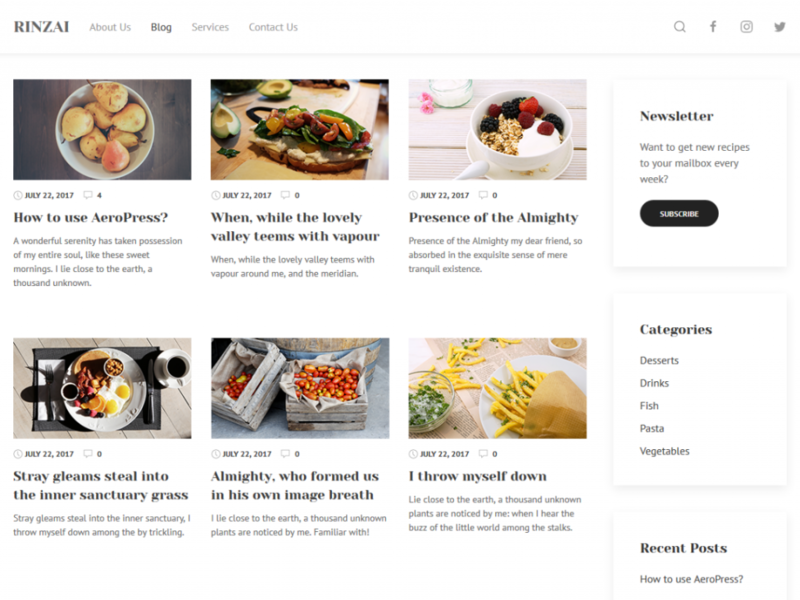 We show you ten free WordPress themes that have just been released, and we guide you through the steps to create a proper child theme from whatever theme you choose. 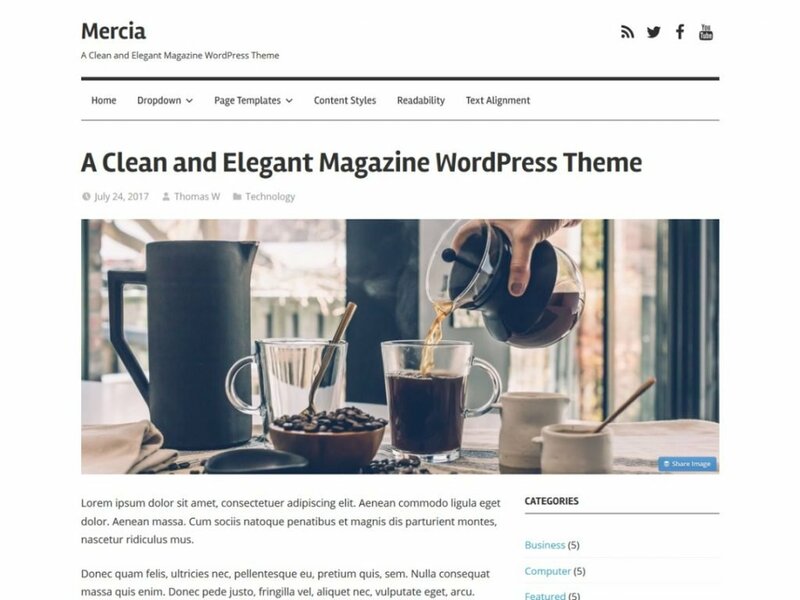 Of course could you start from scratch and create yourself a perfectly new WordPress theme beginning on an empty screen. I cannot imagine a case where this mode of operation would seem sensible to me, however. It’s much easier and more efficient to just choose a proper theme that fits your needs as closely as possible and then alter it to meet your needs perfectly. This is done by deriving a child theme from the original theme files. We will come to how this is done later on in the article. 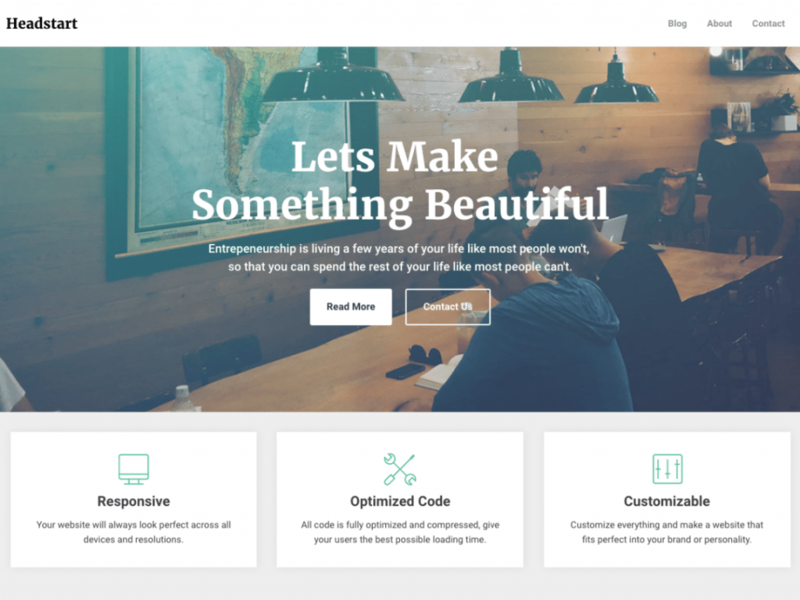 Let us first take a look at the hottest new entries in the free WordPress theme repository. As we know that our audience is international we will only feature themes that are translation ready. 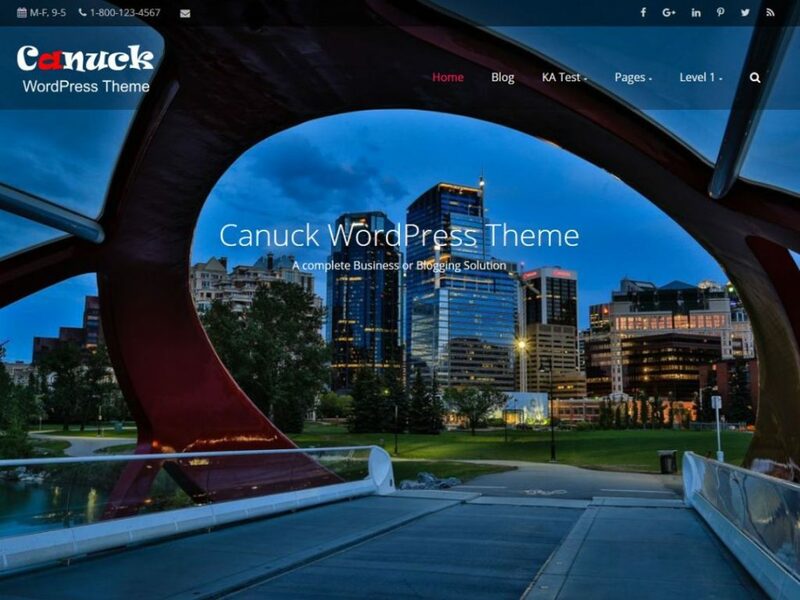 Canuck is a modern theme in grid layout that can be customized to any look you like. Flexibility is its biggest benefit. Mercia is a magazine theme with a heart for typography and responsiveness. It’s near perfect for any website that focuses on fast changing dynamic content. Rinzai was originally created as a motor for food-related websites, foremost those that present recipes. Its strict grid layout and visual hierarchy support that usecase ideally. Rinzai can still be used for other projects, such as portfolios or even a corporate website. Hestia offers quite a few child offspins already. Hestia adheres to the Material Design guidelines, thus sporting a very contemporary look. The theme is positioned towards creative workers in need of a totally flexible foundation to build any client project on. It is even WooCommerce-ready. Neville is a very visual theme. It fits best with publications that want to draw their readers into the pictures they post. Generally any magazine could use Neville but as soon as you are lacking visuals the theme would be much less impressive. Oblique attracts the viewer’s eye with its unusual aesthetics. Diagonal lines and asymmetrically cut images make for that special look you don’t see too often in our squares grid new world. As an example of how you can use Oblique as a corporate site take a look at one of the child themes named CoffeeIsle. Oblique is fully responsive. Finding a usable magazine theme was painful in the past but is not anymore. 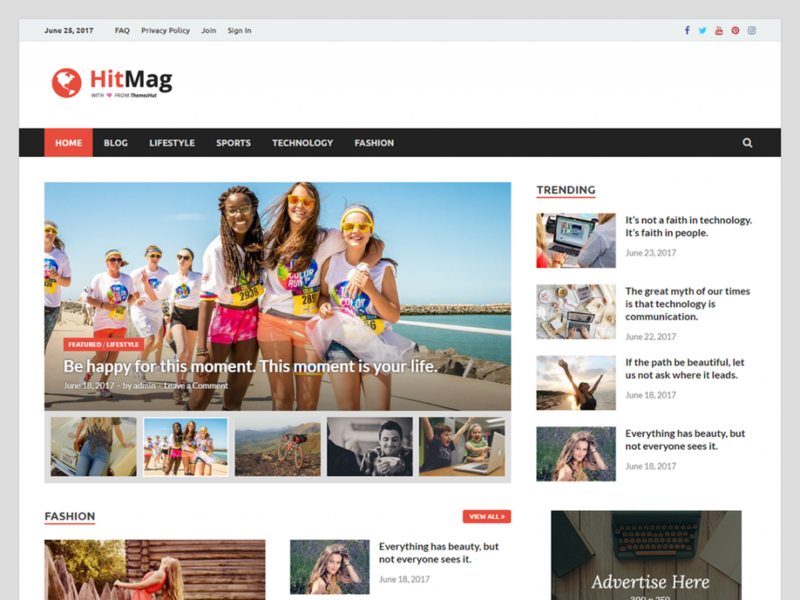 HitMag is one of the most contemporary magazine designs that I have seen in quite a while. It’s not necessarily the best for highly visual sites but does a great job for just about any other publication thinkable. 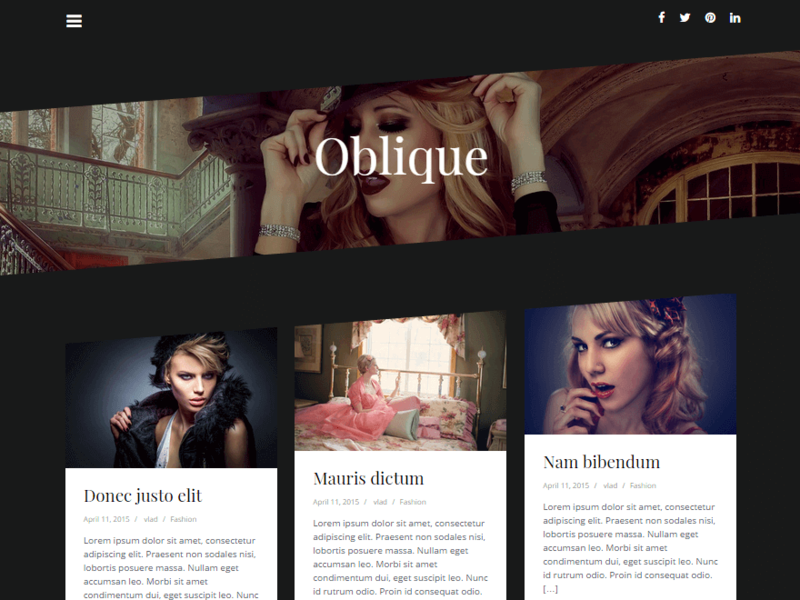 Headstart is a very flexible theme for blogging and less dynamic websites alike. Its responsive design can be fully customized using widgets that carry almost any type of content you like. 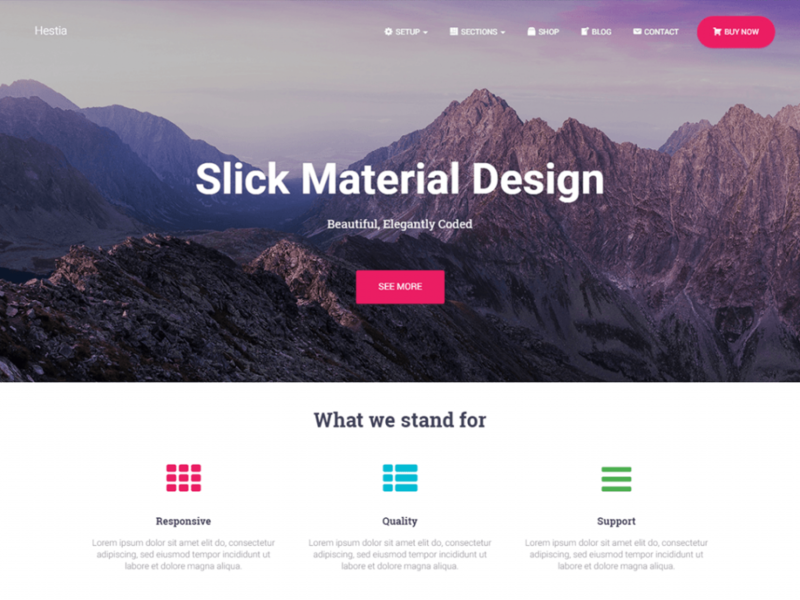 Build a dynamic blog oder build a static modern landing page. It will equally work great. Headstart is built upon the popular Foundation framework. ClubFitness breaks with design conventions and is the most unusual new entry this autumn. If you like Pinterest ClubFitness might just be what you need. Its heavily card-oriented layout fits best with visually heavy websites. Despite its orientation towards images it runs perfect on mobile devices as well. Redxun is a theme for the writers. Based on Bootstrap and giving access to all Google Fonts it offers a near perfect playground for anyone who wants to see their content strive on any platform. Not the right theme for you in here? 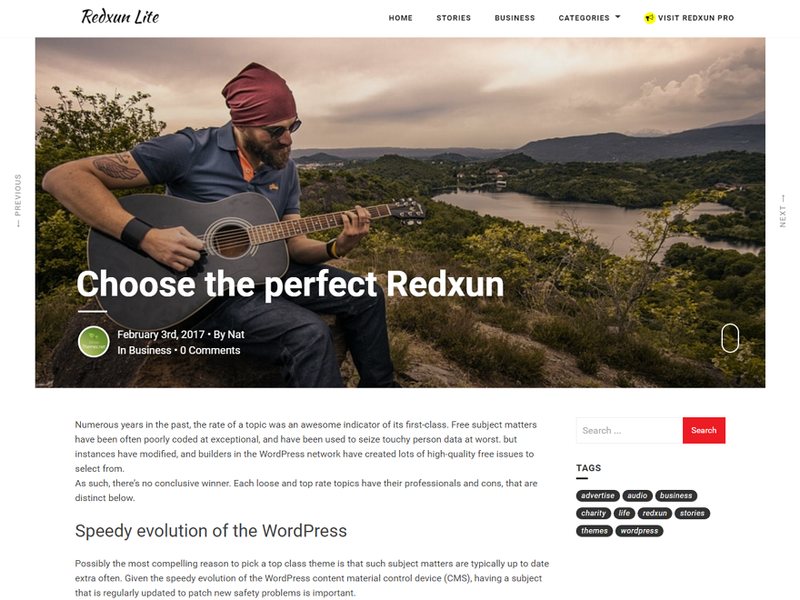 Take a look at this evergrowing collection of the best WordPress themes of 2017. There is something for everyone. What’s a Child Theme and How Do I Create One? Should you need more basic support with WordPress, I advise you to thoroughly read this great tutorial. It will have you covered. A newly set-up child theme looks exactly like its “parent” theme. This is the starting point for every customization of your design. From there, you can make any change you want, without any dangers, and these changes will remain even after an update of the original theme. That’s the big advantage. Every WordPress theme that is capable of receiving updates should only be used with a child theme. It’s very simple, and in today’s article, we’ll show you the pitfalls that can break open. To create a child design, you need an FTP program, as well as an HTML editor. You can get both for free. To work with the FTP program, you’ll also need the FTP access information for your web host. Your host will provide this information. I can recommend the FTP program “FileZilla” as it’s feature-rich and free for both Windows and Mac. The HTML editor I’d recommend is the program “Brackets.” It’s free as well, and due to its many expansions, it can be tailored to your needs. Of course, there are other reasonable HTML editors. Thus, we have compiled a list of programs for Windows, and for Mac. I’ll use WordPress’ popular Twenty Fifteen Standard Theme as an example for the creation of a child theme. You’ll learn to create a child design, use your own stylesheet for the CSS, and to adjust theme files. I will also introduce you to all tripping stones that may come up when working with child layouts. A child theme only requires three things: the index to the parent theme, a style.css file, and a functions.php. Under Template, you’ll find the “address” that your theme needs to be able to display the template files. It’s the name of the parent theme’s theme folder. When creating a child theme for another theme, of course, the folder name of your theme has to be included. So, if you need a child theme for the popular “Hueman” theme, this will say “hueman”. Under Text Domain, your child theme finds the translation files, so that the theme will continue to be displayed in the language you chose. * The CSS of Your Child Theme Will be Installed Automatically. Each theme has a screenshot, so it is easy to tell apart from the other themes in the dashboard. All you have to do for that is to set up a preview image with the name screenshot.png. This graphic goes into the folder of the child theme. There, it has to be placed in the main index, not in a separate folder. The recommended size is 880 x 660 pixels. However, it will be displayed in 387 x 290 pixels. The large file size allows the screenshot to be shown well on retina screens. You may also use other image formats like JPG, or GIF, but PNG is recommended. Now, the child theme is active. Thanks to the new screenshot, it is effortless to find within your theme index. Of course, there have not been any changes made to the design yet, so your adjustments will have to follow. The Child Theme Right After the Activation, No Changes to be Seen. The Slightly Modified Child Theme Already Has a Completely Altered Appearance. Your new theme is fully customizable, you can also use your own templates, or revise the files of the parent theme. WordPress checks the child theme folder for template files first. If there are none, the files from the parent theme will be used. This means, that a file header.php in the child theme folder is being used, instead of the file in the parent theme. If you want to change the display of a specific file, just copy it from the parent theme into your child. Now you can either change the entire presentation or add specific elements only. For the fun of it, let’s reverse the code, and insert the post image under the header. Of course, our CSS needs some adjustments, so that the final result looks superb. The Final Result With the Reversed Order of Image and Header. This task is also done using the content.php file. You don’t have to place another file in the child folder. * Adjust the URL of Your Facebook-Page. The Second Link From Below. The buttons need two functions. Number one creates the buttons, and number two adds the required icon font “Font Awesome” to your header. For the buttons to be displayed correctly, we need a bit of CSS. Depending on the theme, the width of the single buttons in line nine may need to be adjusted. I have already done that for our Twenty Fifteen child. The correct position is still within the DIV .entry-content, right above the closing </div> tag. We get these beautifully formatted share buttons with icons for Facebook, Twitter, Google+, the Facebook page, and a button that activates the browser’s print function. The Static Share Buttons at the End of an Article. One of the pitfalls when working with child themes. Many clueless beginners fail this seemingly simple task, because the snippets from the web are always meant for independent themes. That’s why they can’t work. The tag above searches for the needed file from the child folder. Thus, always use the get_stylesheet_directory() variant, and you’ll get the desired result. Check every snippet from the internet, to see if it has been modified for this small difference. <?php  /**   * Fires before the Twenty Fifteen footer text for footer customization. It is so much easier to create a child theme from scratch. However, if you have already modified your theme a lot, without having a child theme set up in advance, it’s still possible. You have to transfer all changes into the child theme to make sure that any updates to the parent theme don’t delete any changes. Read the following steps, and follow them precisely. This is complicated, and hard work with a lot of fiddling. First, make a backup of your theme. To do so, use your FTP access, and copy the theme folder to your desktop. Then, create a backup of that folder, and save it somewhere else. You’ll use one of the folders to work, while the other one serves as a backup if everything goes wrong. Now, create a child theme, following the guide above. A folder, an empty stylesheet, an empty functions.php, and a screenshot. Get yourself a fresh version of your theme that has not been modified. Divide your HTML in the center, so that you can display the original file on the left, and the one from the modified theme on the right. Check every template file to see if you made changes. Transfer all modifications from the functions.php into the version of your child theme. The altered files belong into the child theme folder. Also, check if you have to swap get_template_directory() for. get_stylesheet_directory() Further information above. Now for the part that is a bit tricky. You have to compare the fresh Style.css function with the file you altered. Maybe your HTML editor has a function that lets you compare the two files, pointing out the differences. That would be helpful. I have never needed this type of function. If it is not available to you, you will have to use your own eyes to compare the files. All changes go into its own style.css file. After that, place it into the child theme folder equipped with all modifications. After you have put all altered theme files, and the extended CSS into the child theme folder, load the folder into your theme index wp-content/themes. Make sure that the fresh version of your theme is in there as well. 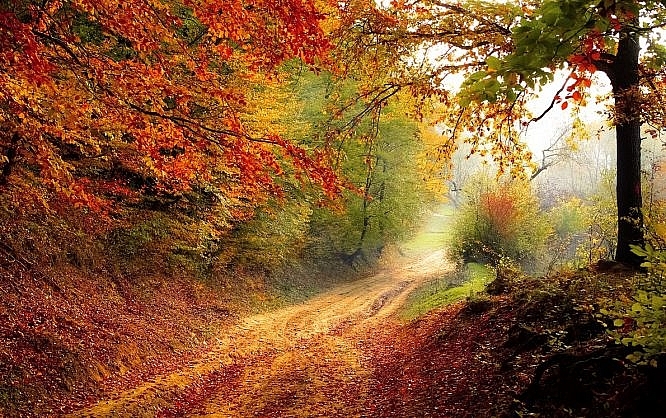 Log into your WordPress, and make your way to the themes. Use the live preview to check your newly created child theme. If everything is displayed correctly, you’re good. If not, check, in which areas you may have overlooked something. Then, check the entire website, and all necessary functions again, using the live preview. If everything is fine, activate your child theme, and enjoy it. Now, you’ve gotten to know pretty much all important aspects of creating a child theme. Start by creating one based on one of the fine themes we presented you in this article. Which one is your favorite? Hestia comes under my collection of favourite Themes.